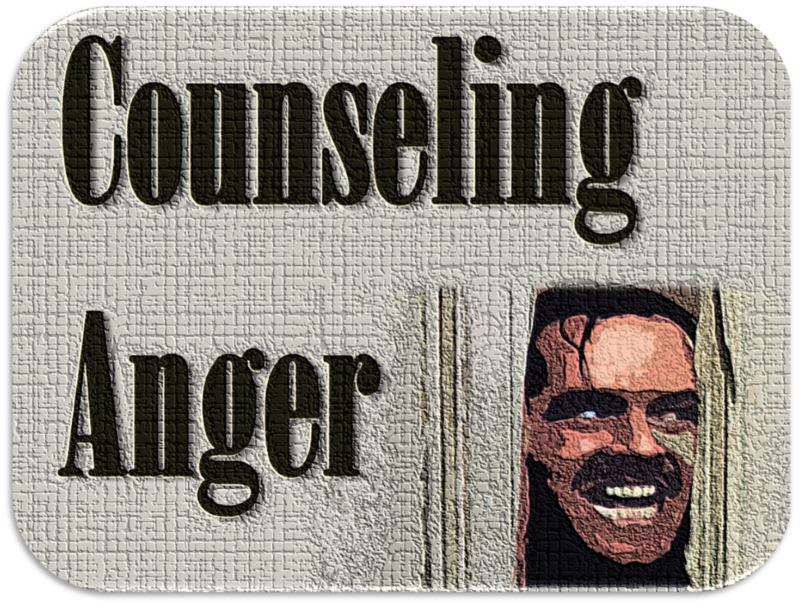 God experiences and expresses anger. When the religious authorities were trying to trap Jesus into healing a man on the Sabbath, he looked “around at them with anger” (Mk. 3:5). Later, when the disciples tried to keep children from Jesus, he was “angry” (Mk. 10:14 NLT). Finally, in a famous display of anger, Jesus cleansed the Temple with a “scourge of cords” (Jn. 2:15). Not all anger is sinful. The Bible never prohibits anger; instead, it tells us to keep our anger under control. Paul writes, “Be angry, and yet do not sin” (Eph. 4:26). Here we see that anger is not necessarily sinful. In fact, anger is commanded. James writes that we should be “slow to anger,” but it does not prohibit anger altogether (Jas. 1:19). Paul writes that the fruit of the spirit is “self-control” (Gal. 5:23). “Do not be eager in your heart to be angry, for anger resides in the bosom of fools” (Eccl. 7:9). “A quick-tempered man acts foolishly, and a man of evil devices is hated” (Prov. 14:17). “He who is slow to anger has great understanding, but he who is quick-tempered exalts folly” (Prov. 14:29). “He who is slow to anger is better than the mighty, and he who rules his spirit, than he who captures a city” (Prov. 16:32). “A fool always loses his temper, but a wise man holds it back” (Prov. 29:11). “Do you see a man who is hasty in his words? There is more hope for a fool than for him” (Prov. 29:20). “An angry man stirs up strife, and a hot-tempered man abounds in transgression” (Prov. 29:22). “Do not associate with a man given to anger; or go with a hot-tempered man, 25 or you will learn his ways and find a snare for yourself” (Prov. 22:24-25). Even having unexpressed anger in our heart is punishable by God (Mt. 5:22), and one of the deeds of the flesh is “outbursts of anger” (Gal. 5:20; cf. Col. 3:8). By learning to see how our anger affects others, we gain a greater sensitivity to further outbursts. What then is the difference between righteous and unrighteous anger? The ‘steamboiler theory’ held by some psychotherapists concerning the emotions asserts that emotions are like steam in a pressure tank and must be released vigorously or they will cause a terrible explosion. This assertion is not substantiated by the experimental evidence. Our emotions are not a kind of gas or fluid which must be expelled in order to prevent our popping all over the place in a million pieces. One of the greatest and most destructive myths about anger is the view that we need to “get it out of our systems,” “let off steam,” swear, holler, scream, pound a pillow, or find some other way to vent hostility—all in an effort to decrease feelings of anger. This idea is never suggested in Scripture, and, as we have seen, it is not supported by psychological research. In contrast, there is plenty of evidence that ventilation, expressions of rage, tantrums, and continual talking about our anger all tend to increase anger instead of reducing it. Learn to see the effects of your anger. One of the keys to controlling our anger is to count the cost of it. What do we have to lose if we persist in anger? How will this affect our relationships? Our job? Our service for Christ? Learn to overlook offenses. Many people with anger are actually hyper-sensitive to how they are treated. We need to develop a thick skin if we are going to serve Christ. Paul writes that love “does not take into account a wrong suffered” (1 Cor. 13:5). Backus writes, “At times there will be no need to talk about your angry feelings to the person you’re angry with because you will have taken care of it by talking it over with the Lord alone. With your cooperation, He often can remove anger from you in the privacy of your prayer closet.” Really, we should only confront our brother if we feel that it would be in his benefit. Hiding anger doesn’t help. Solomon writes, “He who conceals hatred has lying lips, and he who spreads slander is a fool” (Prov. 10:18). Later he writes, “He who hates disguises it with his lips, but he lays up deceit in his heart. 25 When he speaks graciously, do not believe him, for there are seven abominations in his heart. 26 Though his hatred covers itself with guile, his wickedness will be revealed before the assembly” (Prov. 26:24-26). Learn to discern hidden anger. Symptoms of hidden anger are depression, physical symptoms, criticism, a tendency to gossip, not cooperate, or impatience. Discover where you learned angry behavior. All of us learned how to express anger from those around us. We often learned anger responses from our parents, and we might be getting angry about the same subjects. Reject the notion that circumstances caused our unrighteous anger. Circumstances and people do not cause unrighteous anger; instead, they reveal what was in our heart all along. We should strive to improve our circumstances if possible (1 Cor. 7:20-21). Yet we should never blame our unrighteous anger on our circumstances. What is making me feel angry? Have I been hurt—disregarded, blamed, devalued, rejected, made to feel inadequate or stupid? Is there something about this situation that threatens me and makes me feel afraid or inferior? Am I jumping to conclusions about the situation or person who is making me feel angry? Has my anger come because I’ve had some unrealistic expectations? How might others, including the person who is angering me, view this situation? What could I do to change the situation in order to reduce my anger? Carter, Les. The Anger Trap: Free Yourself from the Frustrations That Sabotage Your Life. San Francisco, CA: Jossey-Bass, 2003. Backus, William. Chapian, Marie. Telling Yourself the Truth. Minneapolis, MN: Baker Publishing Group. 2000. 52-53. Collins, Gary. Christian Counseling: A Comprehensive Guide (3rd ed.). Nashville, TN: Thomas Nelson Publishers. 2006. 169. Collins, Gary. Christian Counseling: A Comprehensive Guide (3rd ed.). Nashville, TN: Thomas Nelson Publishers. 2006. 162. Backus, William. Chapian, Marie. Telling Yourself the Truth. Minneapolis, MN: Baker Publishing Group. 2000. 59. Collins, Gary. Christian Counseling: A Comprehensive Guide (3rd ed.). Nashville, TN: Thomas Nelson Publishers. 2006. 164. Backus, William. Chapian, Marie. Telling Yourself the Truth. Minneapolis, MN: Baker Publishing Group. 2000. 60. Collins, Gary. Christian Counseling: A Comprehensive Guide (3rd ed.). Nashville, TN: Thomas Nelson Publishers. 2006. 170.